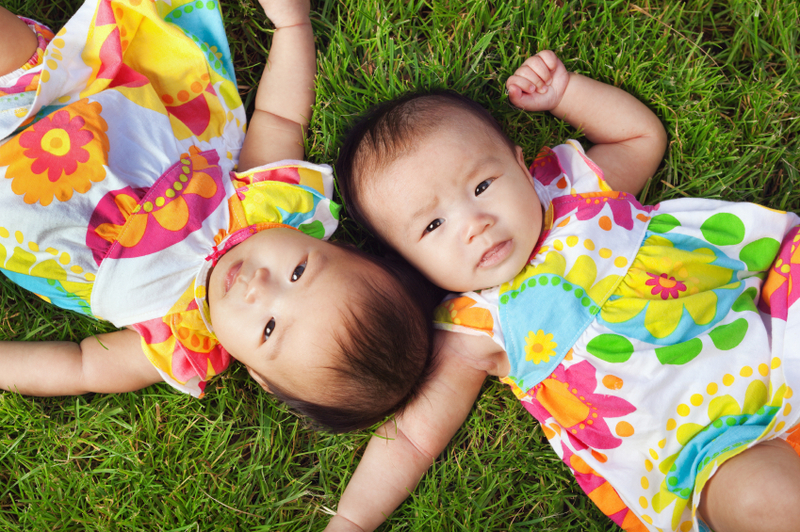 Settling on the right stroller to purchase is difficult enough, but finding the perfect stroller for twins can prove to be double trouble. If you’re in the market for a stroller that seats two, check out our top picks (in order from least to most expensive) for the best strollers for twins. NerdWallet takes you shopping: Ranked as the No. 1 bestseller in online marketplace Amazon’s baby stroller travel systems department, our first top stroller for twins is the Graco DuoGlider Classic Connect Stroller, Dragonfly. 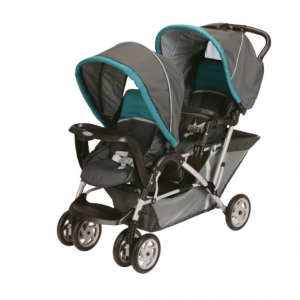 This double stroller features stadium-style seating. The device holds two Graco Classic Connect car seats, each of which can accommodate a child up to 40 pounds. Once you have your children properly secured and ready for a stroll, you’ll be able to take advantage of the device’s many features, including its reclining seats, individual canopies for protection from the sun, extra-large storage basket for snacks, parents’ tray and child’s tray. This stroller is the least expensive on our list. It’s currently being sold by Amazon for $124.99 with free shipping. 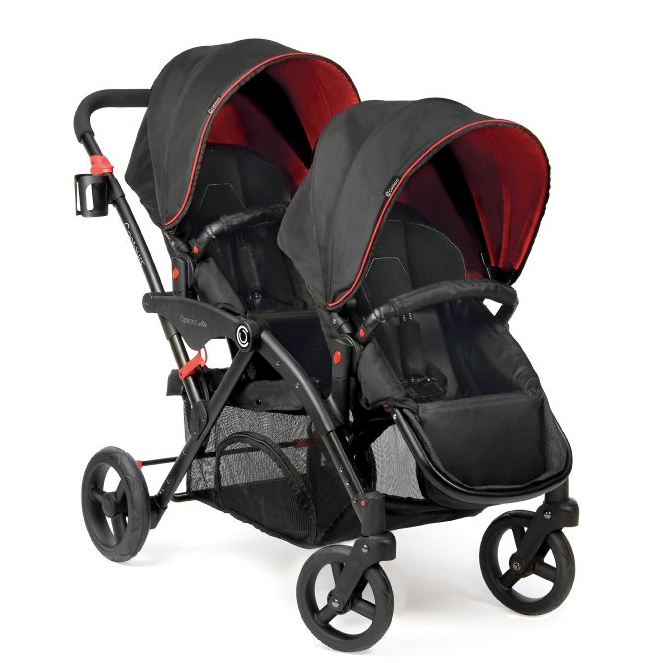 NerdWallet takes you shopping: Next up is the Contours Options Elite Tandem Stroller, Red Velvet. On sale for $299.99, this double stroller falls in the middle of our pack in terms of price. This model emphasizes versatility and convenience with seven different seating configurations and its easily foldable design. Other noteworthy features include its canopies rated 50+ UPF for sun protection, rubber-coated wheels and five-point safety harnesses. There’s plenty of storage room in this stroller, too, thanks to its storage basket, parent cup holder and in-seat child pockets. Additionally, this product comes with a universal car seat adapter than can fit over 20 different seats. See the stroller’s product description for a full list of infant car seats that are compatible with this baby transportation system. NerdWallet takes you shopping: Finally, rounding up our list of the three best strollers for twins is the BOB Revolution SE Duallie Stroller, Black. This sleek stroller’s three-wheel design, lightweight frame and swiveling front wheel make it an ideal fit for active parents. 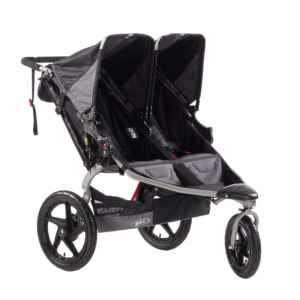 This double jogger stroller is designed to remain stable and smooth, even through uneven terrain. The product features an adjustable suspension system, two-position shock absorbers and a rear-wheel brake system. Additional safety components include two multi-position canopies and five-point padded harnesses. This stroller has a capacity of 50 pounds per seat without the use of infant carrier or stored items. Its included accessory adapter affords users the ability to attach the BOB Infant Car Seat Adapter to fit a variety of car seats. However, note that this car seat adapter must be purchased separately. With a price tag that surpasses $500, you’ll have to decide whether this particular stroller model is a match for your lifestyle (and wallet).